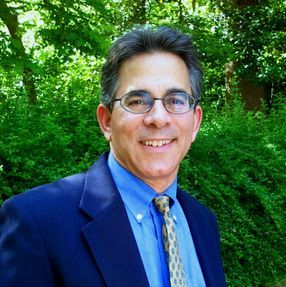 Dr. Steven Bernabeu has been practicing in Fairfax, Virginia, since 1991. He is licensed by the Virginia Board of Medicine to practice chiropractic in the state of Virginia. In addition, he holds an active chiropractic license in the state of New York and is board certified by the national Board of Chiropractic Examiners. Dr. Bernabeu received his undergraduate Bachelor of Science Degree in health sciences with a specialization in respiratory therapy from Long Island University in Brooklyn, New York, in 1982. Following graduation, he worked as a respiratory therapist in critical care medicine in a high-level trauma center at Stony Brook University Hospital in New York for several years before entering New York Chiropractic College in Old Brookville, New York. After receiving his Doctorate in Chiropractic from NYCC in 1989, Dr. Bernabeu entered into a special appointed teaching residency at the NYCC outpatient facility in Levittown, New York, where he supervised and instructed chiropractic interns in patient diagnosis and management. Upon finishing his residency, Dr. Bernabeu relocated to Virginia with his wife and partner, Dr. Gina Simonetti, to start a private practice in Fairfax. Dr. Bernabeu's specialized approach in enhancing sports performance has gained him the notoriety in the realm of athletics. He has had the privilege of treating many famous athletes including many Olympians in track and field, swimming, figure skating, gymnastics, and professional football players. He has been part of the George Mason University medical team since 1994. In 1996, he was a member of the on-site medical team that assisted the men's track and field team in their 1996 NCAA victory. He currently serves as part of the GMU adjunct medical staff. Throughout his years in private practice, Dr. Bernabeu has additionally attended many post-graduate courses in clinical rehabilitative medicine, radiology, clinical nutrition, functional endocrinology, functional medicine, neurology, kinesiology, and myofascial therapy. He is certified in physician acupuncture and dry needling.